Dubai, United Arab Emirates, 20 October, 2015: Critically acclaimed filmmaker Mr. Rohit Gupta, addresses a filmmaking seminar at the SAE institute Dubai. Gupta’s keynote was primarily focused at the filmmaking, music, audio, graphic design, multimedia and animation students at the institute. At the seminar, Mr. Gupta shares his journey from a 4-week short stint at the New York Film Academy to creating a global mark in a short span of time. The students also got an opportunity to discuss with Mr. Gupta on their dreams and aspirations and the pathway to achieve them. New York based film director, whose credits include critically acclaimed films such as “Life! Camera Action…” (ninety minute inspiring family-drama feature), “Another Day Another Life” (four-minute suspense thriller) has won over hundred international accolades including at the prestigious Cannes Film Festival. Mr. Gupta is listed in the Limca Book of Records, India’s equivalent of the Guinness Book of World Records for the first full-length motion picture “shot by just a two-member crew”. Mr. Rohit Gupta showcased and traced back to the students his journey from his dreams to his award-winning films. The seminar was a highly interactive and inspiring session for the students to hear directly from Gupta about how he created his own path to his overall creative process including scripting to filming, editing and post-production, the challenges he faced and how he overcame them, marketing, branding, distribution, overall role of social media and so on. Mr. Gupta’s achievements and process are considered as one of the major source of inspiration to students of film, media and youth in general worldwide. 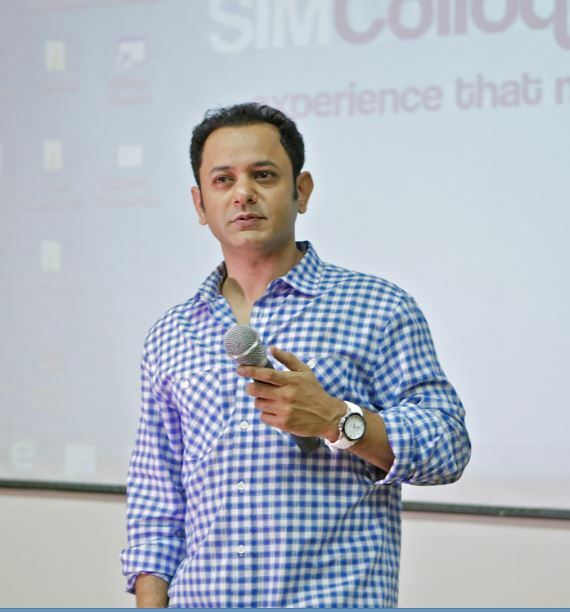 “We were very pleased to welcome Mr. Rohit Gupta to speak and interact with our students. Our students are aspiring filmmakers and they really find it inspiring when established and award-winning personalities share with them their journeys into filmmaking. The session with Mr. Rohit Gupta was truly inspiring and we have received positive feedback from our students. We are looking forward to welcoming him again.” said Celine Abiad Beader – Film Course Coordinator, SAE Institute, Dubai.